“I want to talk to your supervisor or manager”. When was the last time you heard that phrase from someone in a queue? Did it not make you wonder whether that is one and the same person? Is there a difference between the two? Which has more power to resolve an issue – a supervisor or a manager? Let’s see what each of them does. Trains, coordinates, assigns tasks, manages employee traffic Hires, fires, promotes, decides on various ways of investing the company money in a way that will prove productive. A supervisor is the person directly above the regular employees and the one who oversees their tasks and assignments. Since a supervisor does have management responsibilities, he is considered lower level management. His main responsibilities are those of coordinating, motivating and training subordinates. He reviews their performance, resolves grievances, deals with traffic and assigns specific tasks according to the skills developed on the job. Supervisors are usually promoted from within the department they come to supervise. They are people who have properly understood the job and who can coordinate employees, while still performing some other specific tasks within the same department. They are paid more than the average employees. No upper education is required for a supervisory position. Salaries vary according to the industry and the department coordinated and can be decided upon separately within each company. 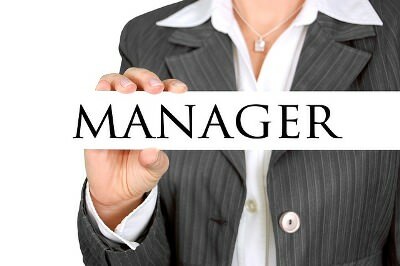 A manager is in charge of handling the resources of a company. This implies finances, human resources, technical resources and everything else a company owns and uses to conduct its business. The role of the manager is that of making sure that the resources are used wisely, so that the costs of production and the overall expenses do not exceed the revenues. A manager has the power to decide on hiring, firing and promoting individuals, is in charge of the money and can give raises. Although people from within the company can come to be promoted to the position of manager, large companies willing to offer a lot of money to the person occupying this position usually ask for higher education and good credentials. The salary of a manager is considerably higher compared to that of an employee although it depends on the company he works for. So what is the difference between supervisor and manager? A supervisor is a person directly in charge of the employees and their tasks, usually within a department. A manager is responsible for coordinating all departments of a business and of making sure that they all work to their full potential to produce profit. A supervisor can only assign tasks, train and decide on whether or not a person is performing well or not. He does not have the power to hire, to fire or to promote anyone. This is a decision left to the manager who also has access to the company’s financial information. No matter how great an employee may be at his job according to the supervisor, unless the manager decides that the company can support a raise, it will not be granted. Salaries and requirements vary from supervisor to manager as well. Managers, having to deal with more than just human resources, have bigger salaries and more responsibilities. On the other hand, when things go wrong, they can be blamed for the mismanagement of the company; the jobs of all the employees depend on their performance more than on anyone else’s.